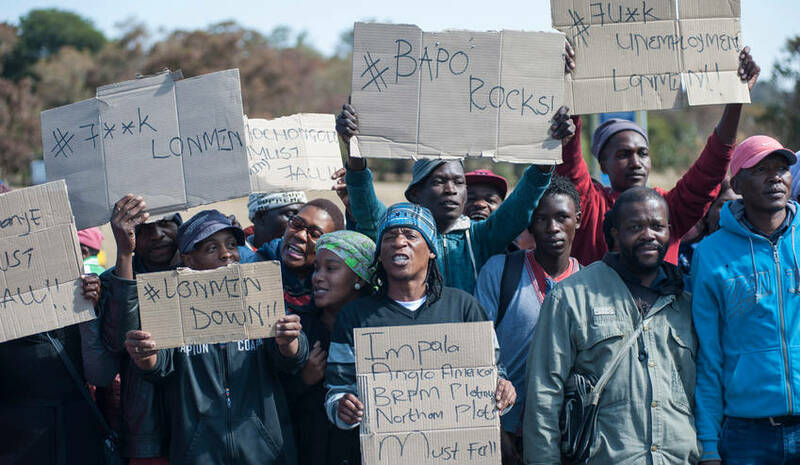 Over 20,000 jobs are at risk at various South African mines after AngloGold Ashanti, Bokoni Platinum Mine and Sibanye Gold announced a few weeks ago that they would be restructuring their operations at their loss-making sites. After its talks with Harmony Gold Mining were put on hold, AngloGold Ashanti said in June that it would reduce its staff by 8,500 at the Carletonville mines (Kopanang and Savuka) as their exploitation was no longer commercially viable. Harmony Gold – which mainly purchases end-of-life mines in South Africa – had expressed interest in acquiring AngloGold’s assets but talks were suspended over the uncertainty surrounding the new Mining Charter imposed upon the industry. The South African government has since announced it had withdrawn the charter. AngloGold’s South African assets are thought to be worth between $500 million and $650 million. Earlier on this month, members of the National Union of Mineworkers (NUM) demonstrated outside the third-biggest gold producer’s head office in Johannesburg to protest the miner’s decision. In July, Bokoni Platinum announced that it would retrench its 2,651 employees for two years and place its operations under a “care and maintenance” programme so that activities could resume “when things change[d] for the better.” Bokoni Platinum recorded a R500-million ($38-million) operating loss in H1 2017. In early August, Sibanye Gold warned that it would restructure its South African operations and close its three Cooke shafts and its Beatrix West mine. The company expects to record a loss of R4.8bn ($365 million) for the first six months of 2017. Last year, the company made a R333-million ($25-million) profit over the same period. However, the mineworkers’ union does not accept the miners’ claims. NUM Mining Coordinator Tafa Moya for instance believes that AngloGold’s decision to retrench workers was unnecessary. “AngloGold Ashanti claims that it is uneconomical to mine those shafts. We are of a different view. Our belief is that it is greedy to claim it is uneconomical to mine those shafts, because there is still gold underground that can be mined for years,” Moya explained. The union has also called on the Department of Mineral Resources (DMR) to set up a taskforce to independently verify the viability of AngloGold’s mines. In early August, the president of the 300,000-member-strong union, Piet Matosa, threatened to declare a general strike to protest against the likely job losses. Previously: Is China helping or taking advantage of Africa?